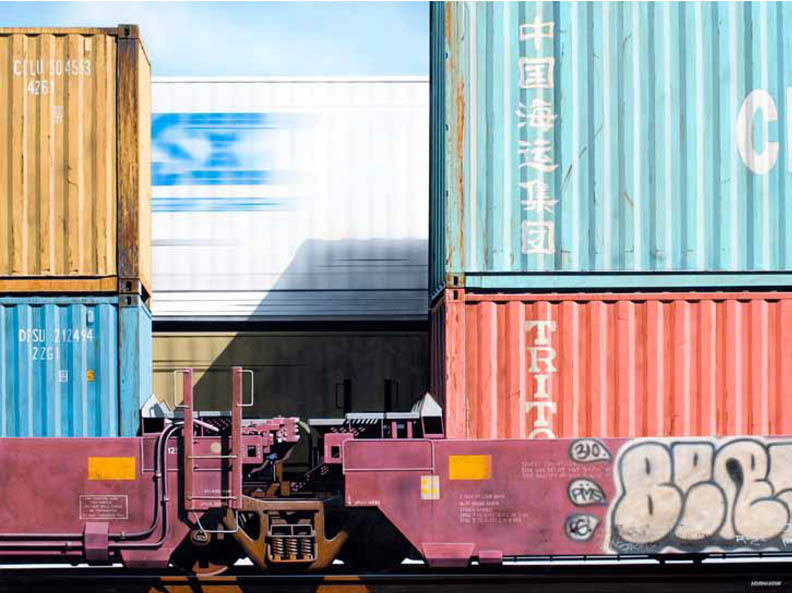 Adam Normandin paints everyday objects to emphasize their importance and bring them more to light. He chooses his subjects intuitively. Most recently, they have been freight trains and industrial machinery. 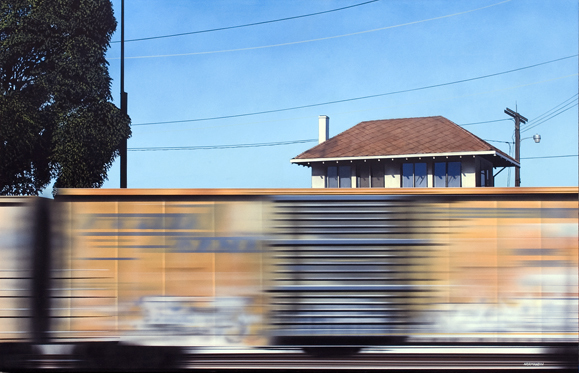 The main point of attraction with freight trains is that they move around relentlessly, in use year after year and so each acquiring an unique exterior. If something mundane and functional can communicate such richness and complexity, perhaps we can find meaning in the most ordinary aspects of our lives too, he says. 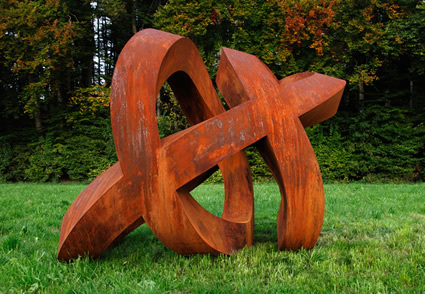 His work has been exhibited extensively across the US. At first I thought "oh I could take that!" but then I finally realized that it was drawn! Absolutely realistic and very insightful with the way you notice the details! Beautiful picture Adam!! Nice job! THAT IS SOOOO AWESOME !!!!!!!!!!!!!!!!!!!! IT LOOKS LIKE A REAL PICTURE TOOKEN !!!!!!!!!!!!!!! it looks amazing with the train.